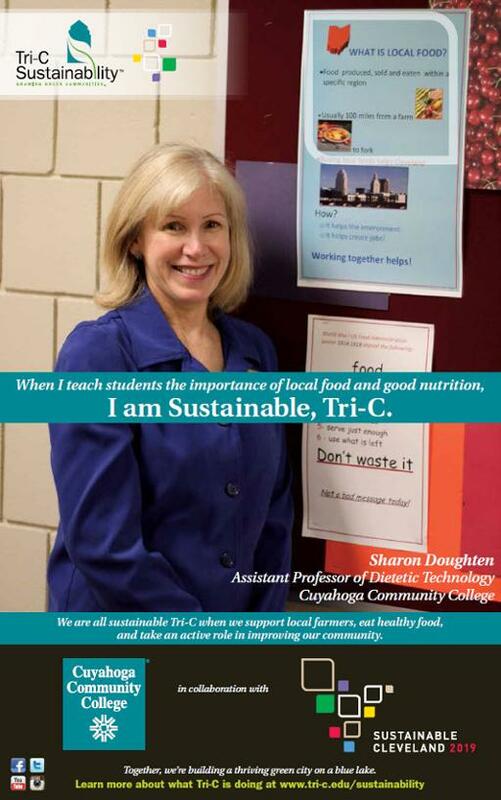 Cuyahoga Community College (Tri-C) aspires to instill in our students, faculty, and staff a sense of stewardship towards the environment by giving them the information and support to continue sustainability efforts beyond the campus environment. Sustainability at Tri-C means achieving the College’s educational and community missions with a sense of responsibility for preserving the environment, promoting the economy and improving society as a whole. Check out 2019 Earth Week events on Tri-C campuses! Metamorphosis Cleveland: A Ravaged River Revitalized and 50 Years of Change is a student-focused event planned for the end of Spring semester 2019 to recognize the 50th anniversary of the infamous 1969 fire on the Cuyahoga River. Click here for more details. Curious about what can go in the mixed recycling bins around Tri-C, or how mixed recycling gets sorted after it is collected? Check out Tri-C's mixed recycling guidelines and learn how Tri-C's mixed recycling gets sorted. Registered and paid credit students at Tri-C receive a free RTA U-Pass to improve accessibility to campus and encourage the use of mass transit. Tri-C's Metro Campus has a UHBikes bike share station near the intersection of Community College Ave and East 30th St, giving people another transportation option. Check out the UHBikes map for bike share station locations, and use your Tri-C email address to sign up for UHBikes membership at the discounted student rate! Tri-C created a Sustainability Plan in 2010 to guide sustainability efforts with a specific focus on the six categories below, and created a Sustainability Implementation Plan in 2014 to identify key strategies to move toward the goals below. The 2017 Sustainability Implementation Plan Progress Report, 2016 Sustainability Implementation Plan Progress Report, and 2015 Sustainability Implementation Plan Progress Report highlight key recent achievements related to sustainability. A Sustainable Cleveland 2019 video about how performing arts advance sustainability featured an Honors Speech Communications class from Tri-C’s Metro Campus performing a reading of a sustainability-themed play written by a local playwright. The Winter 2015 edition of Tri-C Times highlighted Tri-C Sustainability efforts. 2010 Crain's Emerald Award in the Large Non-Profit Companies category. Together, we’re building a thriving green city on a blue lake.